Bring a picnic lunch and join us at Long Beach Sandy Bay to give thanks to God for all he’s doing at Wellspring. Want to know more about why we’re partying? 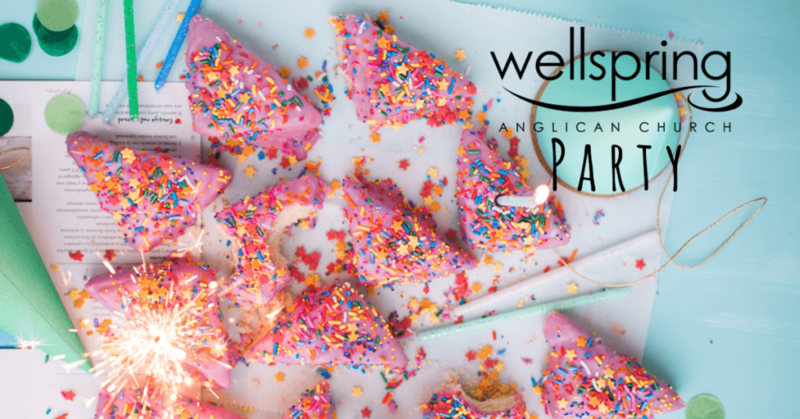 At August’s AGM, Rob signalled a new season for Wellspring, “Going Deeper”, which was the fruit of ours and his prayers, listening, and reflection over the past two years. He said we’d go deeper in three ways: 1) In who we are, 2) In what we do, and 3) With those to whom we’re sent. Within these are corresponding priorities/expressions of greater depth and intentionality for 2016: 1) Repentance & thanksgiving, 2) Sunday gatherings, and 3) Networks and neighbourhoods. Work is ongoing to see these realised, and at this Wellspring party we’ll be joining together to give visible expression to thankfulness for each other and current depth. THE ONLY SERVICE AT WELLSPRING THIS SUNDAY WILL BE 8AM.